David Le/Salem News. 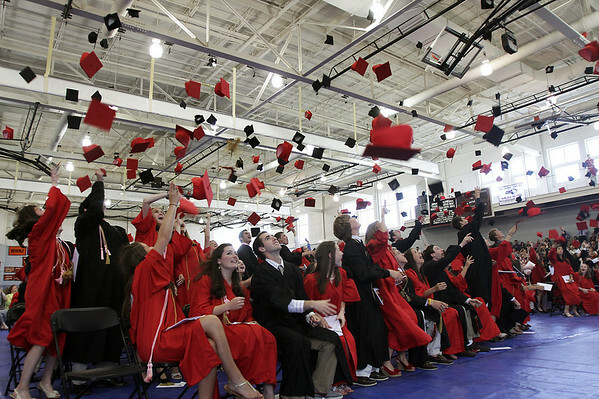 Marblehead High School seniors throw their caps in celebration and jubilation after being announced as offical graduates on Sunday afternoon in the Marblehead High gymnasium. 5/6/11.